Profound transformations in the composition, performance and reception of modernist music have taken place in recent decades. 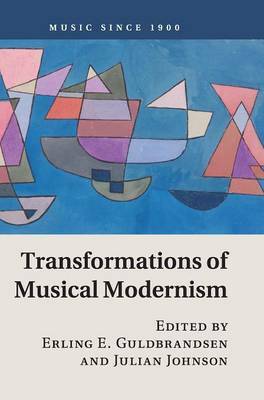 This collection brings fresh perspectives to bear upon key questions surrounding the forms that musical modernism takes today, how modern music is performed and heard, and its relationship to earlier music. In sixteen chapters, leading figures in the field and emerging scholars examine modernist music from the inside, in terms of changing practices of composition, musical materials and overarching aesthetic principles, and from the outside, in terms of the changing contextual frameworks in which musical modernism has taken place and been understood. Shaped by a 'rehearing' of modernist music, the picture that emerges redraws the map of musical modernism as a whole and presents a full-scale re-evaluation of what the modernist movement has all been about.